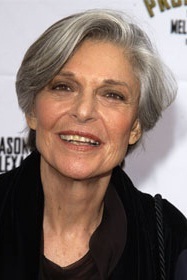 Anne Bancroft (born Anna Maria Louisa Italiano; September 17, 1931 – June 6, 2005) was an award-winning American actress, best known for her roles in The Miracle Worker, The Pumpkin Eater, The Graduate, The Turning Point, The Elephant Man, Agnes of God, Honeymoon in Vegas, Antz, and Heartbreakers. She voiced Dr. Zweig in the season 6 episode "Fear of Flying". She was married to Mel Brooks from 1964 until her death.